A few weeks ago I suggested that the gig economy still didn’t seem like a very big deal. I based this on the fact that the share of part-time workers isn’t growing, which you’d expect to see if gig work is becoming more common. That’s a crude but fairly effective metric, but I promised to post better evidence if anything came my way. Uber drivers have high turnover and, on average, work only part of the year (an average of three months) and part time (an average of 17 hours per week). 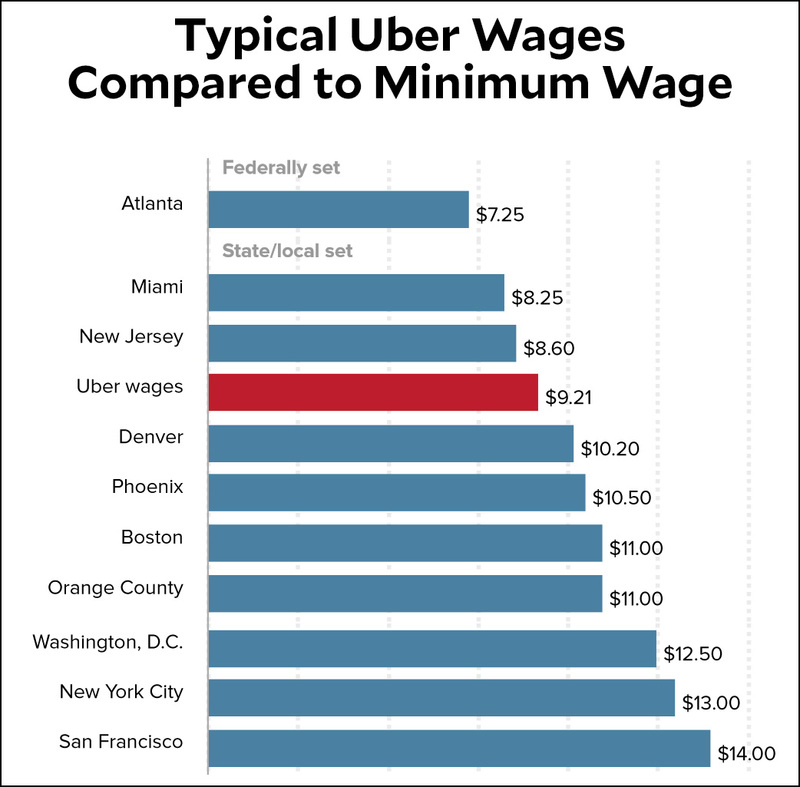 This means that an Uber driver provides roughly 12.5 percent as much “employment,” or total hours of work in a year, as a full-time, full-year worker. There are about 833,000 Uber driver participants in a year. If one weights participants by their weeks worked and their weekly hours, then Uber drivers amount to 90,521 full-time, full-year equivalent (FTE) workers and account for just 0.07 percent of national FTE employment. We scale this proportion by Uber’s two-thirds share of the gig economy (according to research by Seth Harris of Cornell University and Alan Krueger of Princeton University) and find that the entire gig economy—online platform employment—accounts for just 0.1 percent of national FTE employment. Roughly speaking, Mishel estimates that the gig economy acounts for 0.1 percent of total hours worked in the American economy. He also, to my surprise, mentions in passing that Uber alone accounts for two-thirds of this. So not only is the gig economy small, but it’s basically just Uber and a few tiny stragglers. In other words, it’s probably best if everyone stops hyping the gig economy too much. And as long as we’re on the subject, the real subject of Mishel’s paper is a close look at how much Uber drivers typically earn. You can read the report for more detail, but here’s an excerpt of his main findings. The short answer is: not much.
.@kdrum Thanks for writing about my report on Uber and the gig economy: https://t.co/mwcKjTbeX3 @Alan_Krueger tells me he believes that Uber is half, not 2/3 of gig economy. Others say that gig work sold to employers could double my estimate. Add all that, still pretty small.